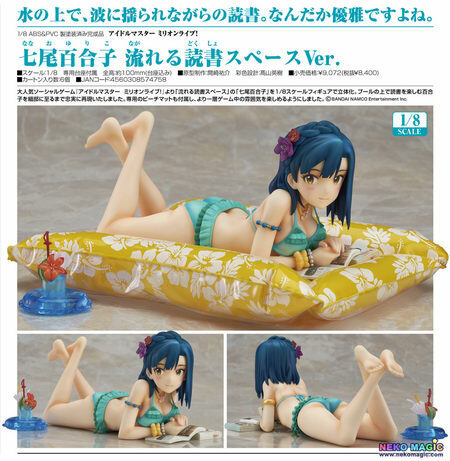 July 22nd, 2015 By: GGT Category: 2015/12 release, Figure News. Phat! 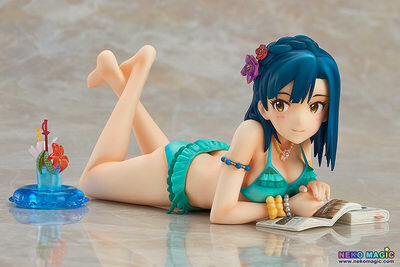 company is going to release the Nanao Yuriko ( 七尾百合子 ) Floating Reading Space Ver. ( 流れる読書スペースVer.) 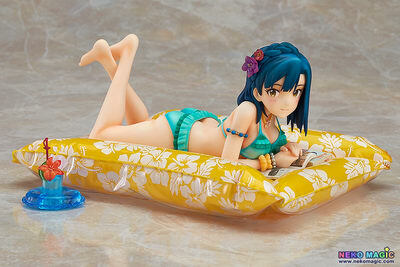 1/8 PVC figure from the “THE iDOLM@STER” game series “The IDOLM@STER Million Live” ( アイドルマスター ミリオンライブ ). Will be released in December 2015. 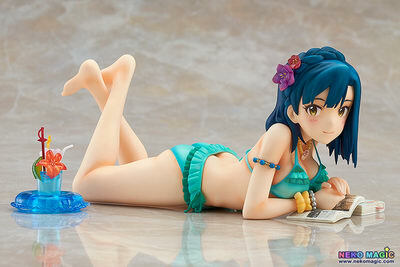 Around 100mm tall (with stand), 8,400 yen. Reading while gently floating on a pool mattress. Somewhat elegant, isn’t it?